With fascinating etymologies and letter patterns of more than 400 everyday words, bestselling language writer Richard Lederer offers insights into the most bedazzling, beguiling, and bewitching words in the English language. Readers will discover why William Shakespeare may be hiding in the Old Testament; why "run" is the longest word in English; how people's names become common words; and how the Bible, mythology, the sea, the land, show business, and games spark words and phrases in everyday vocabulary. 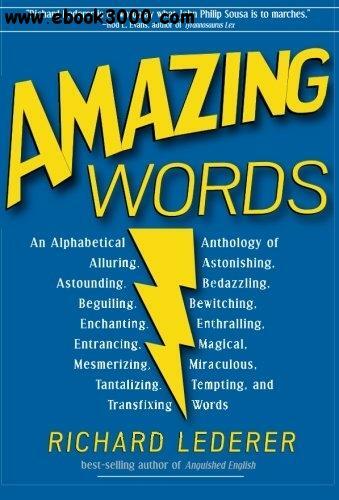 Chock-full of transfixing word histories, magical letter play, and hilarious puns, Amazing Words is an essential book for wordaholics, logolepts, and verbivores.